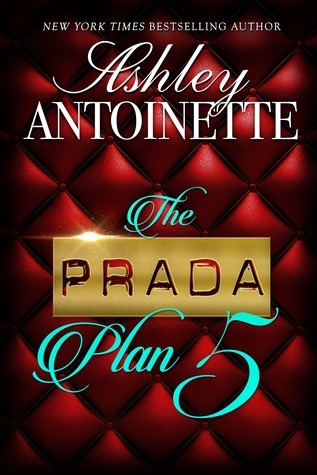 Ashley Antoinette, one half of the writing couple I affectionately call A&J, will release The Prada Plan 5 next month. Like many A&J readers, I’ve read this whole series but wrongly thought we saw the last of YaYa and Indie since we were finally rid of Leah, YaYa’s nemesis. In The Prada Plan 5, YaYa and Indie are married but they realize marriage doesn’t erase the past or make us forget the wrongs done to us. YaYa still has Ethic on her mind, and Parker, Indie’s ex, is still fighting for her place in Indie’s life. This love merry-go-round finally stops after YaYa changes her prada plan. It looks that we readers will get another installment, as we Ethic lovers will finally get our book featuring Ethic! Listen, he’s one of my favorite characters, and I cannot wait for that book! FYI: The Prada Plan 5 isn’t a stand-alone book, so please start at book one, The Prada Plan. If you didn’t know, The Prada Plan is everything.